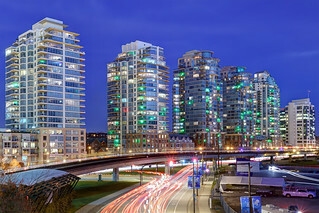 A look at the condos along the East side of False creek taken from the Georgia viaduct. 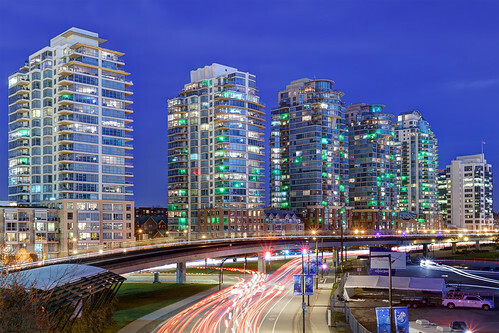 Many of the condos have a green light in them to show their support for a park that was promised by Concord Pacific when they were built in the 90's, but has never been built. I think they should build the park where the empty parking lot is on the right of the photo, it would make a great spot to get photos of false creek!